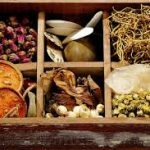 From the perspective of Traditional Chinese Medicine (TCM), general signs of blood deficiency include dry skin, pale complexion, insomnia, irregular menstrual cycles with scanty flow, dizziness, vertigo, constipation and/or fatigue. Blood deficiency is particularly common in women due to the loss of menstrual blood. Si Wi Tang Pian strongly addresses blood deficiency, with emphasis on Liver blood. The Liver in TCM is responsible for maintaining a normal menstrual cycle. Si Wu Tang Pian is particularly suited to cases of chronic blood deficiency with menstrual irregularities, which may even include infertility. Si Wu Tang Pian regulates the Chong Mai and Ren Mai, major meridians associated with fertility. The Heart also depends on sufficient nourishment from Liver blood, whose deficiency is often the cause of palpitations and insomnia. Si Wu Tang is an important formula in cases presenting with the above symptoms and a pale tongue and a thin pulse. Blood stasis commonly develops in cases of blood deficiency, and may be evidenced by a thin-choppy or thin-wiry pulse. With the appropriate presentation, this formula may be used for such conditions as anemia, menorrhagia, postpartum fatigue/weakness, threatened miscarriage, insufficient lactation, periumbillical pain and generalized muscle tension. Si Wu Tang is an elegant, foundational blood tonic formula composed of just four Chinese herbs. The herbs in this formula fall into two groups, based on the role they play in the formula. The first group, consisting of Shu Di Huang (Rehmannia root) and Bai Shao (Peony), directly tonify the blood. Shu Di Huang has a powerful tonifying effect on the blood and Yin, particularly of the Liver and Kidneys. Shu Di Huang also tonifies the Jing or essence, and is therefore an important substance used in the treatment of infertility. Bai Shao also nourishes the Liver and has been shown to alleviate pain and muscle spasms. The second group of herbs, consisting of Dang Gui (Chinese Angelica Root) and Chuan Xiong (Szechuan Lovage Root) regulate the Qi of the blood to dispel and prevent blood stasis, which often develops from chronic blood deficiency. Dang Gui tonifies the blood without cloying and even invigorates the blood, a rare combination for herbs in the blood tonic category. Chuan Xiong is a blood-invigorating herb, well known for its ability to address issues of irregular or painful menstruation associated with insufficient Qi and blood circulation. Animal studies have shown Chuan Xiong to have safe anticoagulant effects. Together, these four medicinals compose an elegant, well balanced and highly regarded Classical formula for the treatment of conditions associated with chronic blood deficiency.